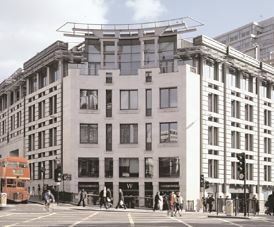 Ludgate Hill office space is a high quality office rental development completed in 1999 and is arranged over basement, ground and upper floors. It provides everything needed to open prestige offices quickly and affordably with the whole process managed on your behalf from initial set-up to day-to-day operational management. The building is located on the western side of The City on Ludgate Hill with St Pauls and Blackfriars stations within walking distance. Like serviced offices, this office let offers furniture options if needed and has meeting room facilities on-site. Rent terms agreements are of various time frame periods and include various costs.